Tequila aficionados who value exceptional quality, old-world craftsmanship and superior taste and finish will enjoy the extra care and attention that goes into each bottle of Pura Vida Añejo Tequila. 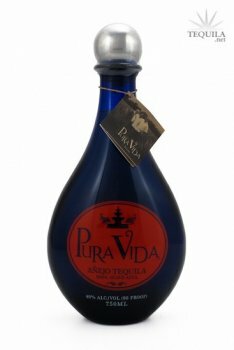 An ultra premium tequila, Pura Vida Añejo is aged for a minimum of one year in high quality, American oak Kentucky bourbon barrels. This aging process allows our Añejo to darken and mature resulting in a flavor that's smoother, richer, and more complex. Very nice. Long, slow legs in the glass; coats the mouth well. Agave and spices in the aroma, sweet with a slight bite initially, extending into spices, caramel and wood. Very enjoyable. 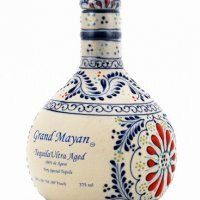 This is a really good solid tequila. Aroma: Smells of cooked agave and spices. Initial Taste: Nice initial sweetness, but nothing too amazing. Body: Nice medium body. This is where this tequila shines. The spices notes come through with cinnamon and caramel. Not too sweet, not too spicy. Finish: A nice long, lingering finish with the agave and the spice. A very mild and pleasant alcohol burn. The bottle was around $40, which is a solid price for a tequila of this caliber. The bottle itself is nothing special. This is a very good tequila. Taste-wise, it's a bit like Riazul Anejo, but not quite as spicy or smooth. However, it is easier to find and $15 or so cheaper. I'd recommend it for sure.